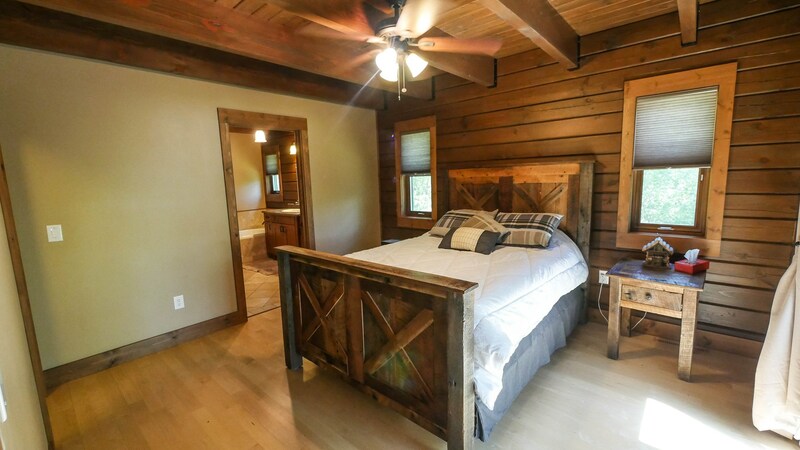 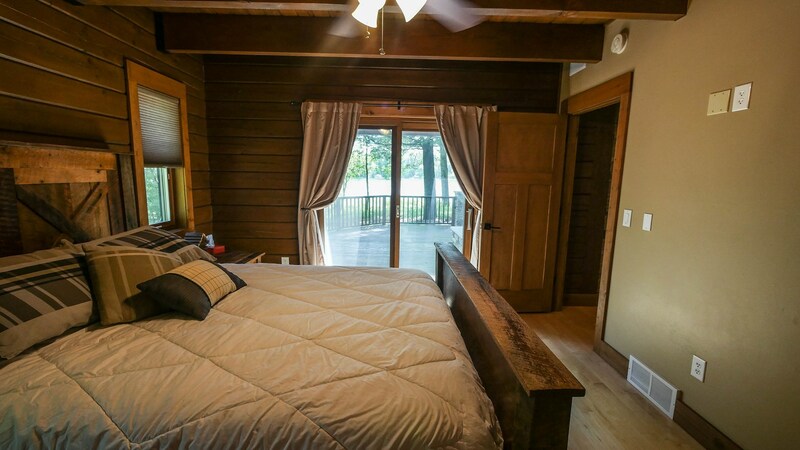 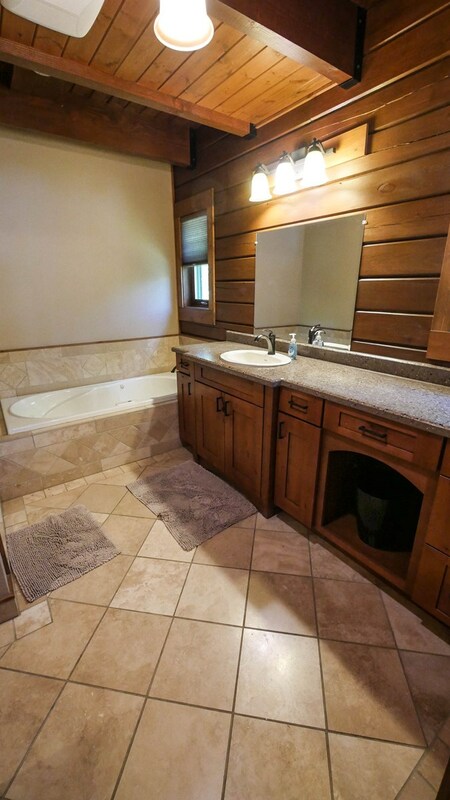 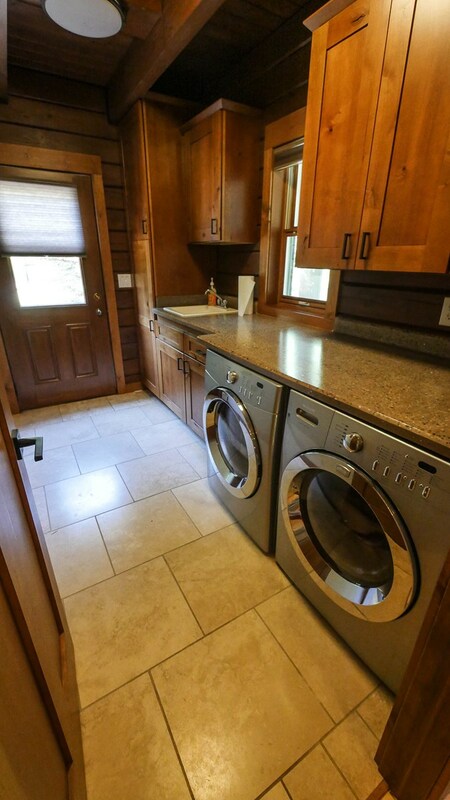 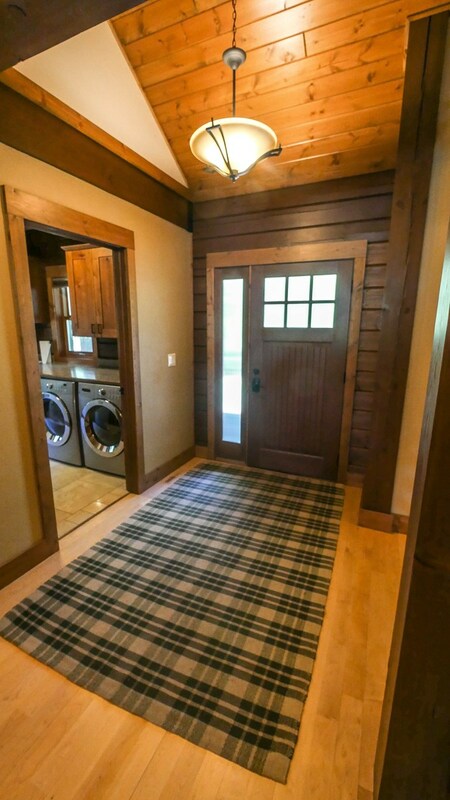 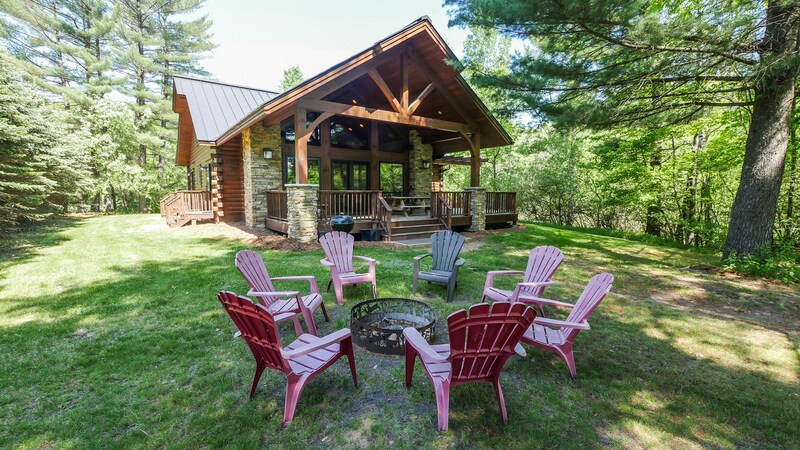 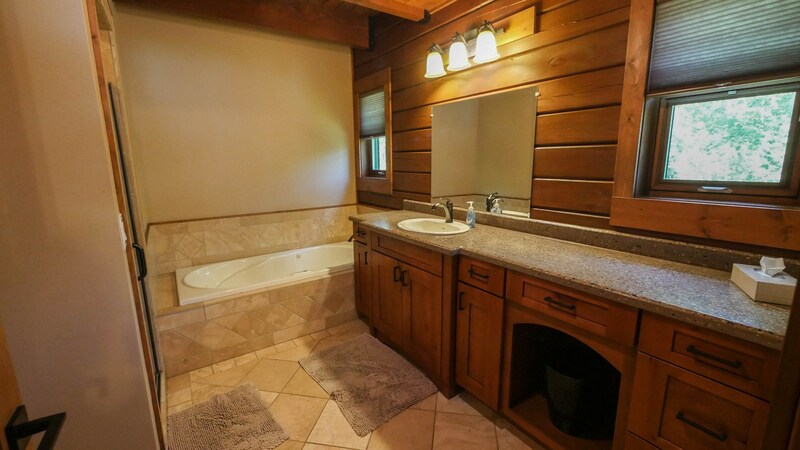 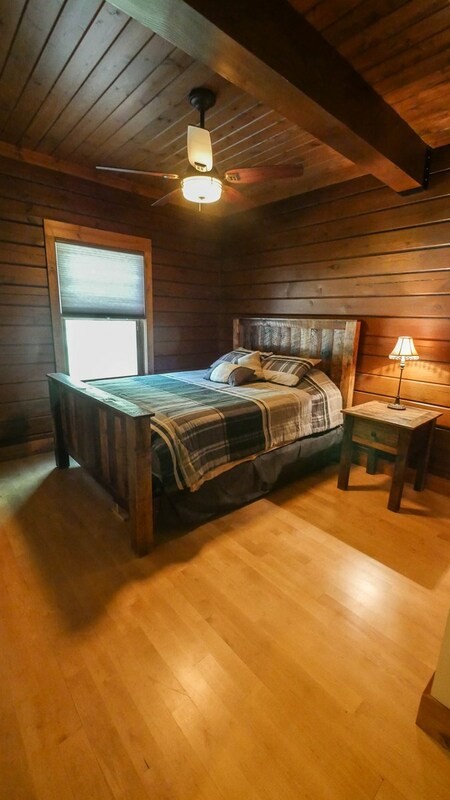 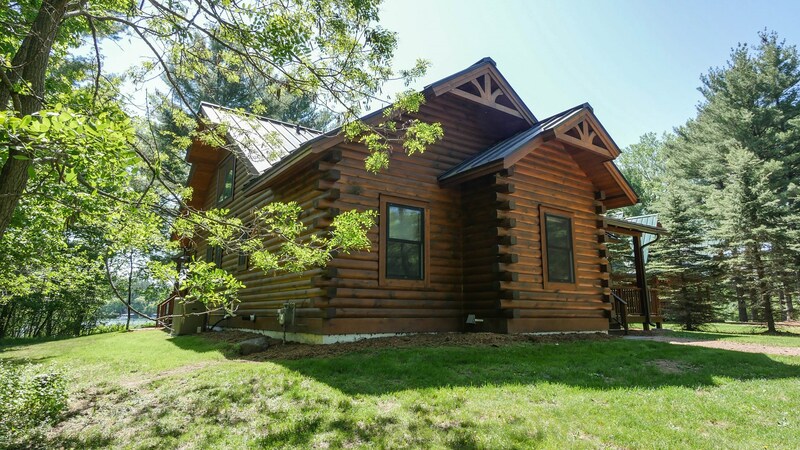 Quality-built log home by Strongwood Log Homes on Waupaca's Chain O' Lakes along the shore of Lime Kiln Lake! 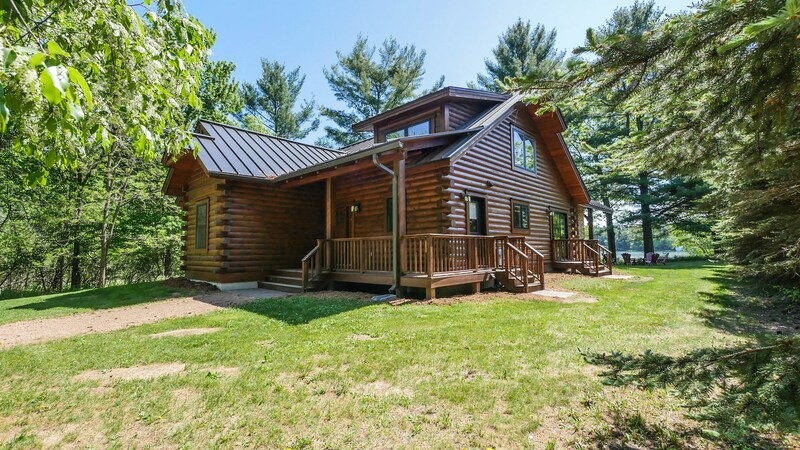 The newer build is Green Certified (16 page checklist) and Wisconsin Energy Star rated. 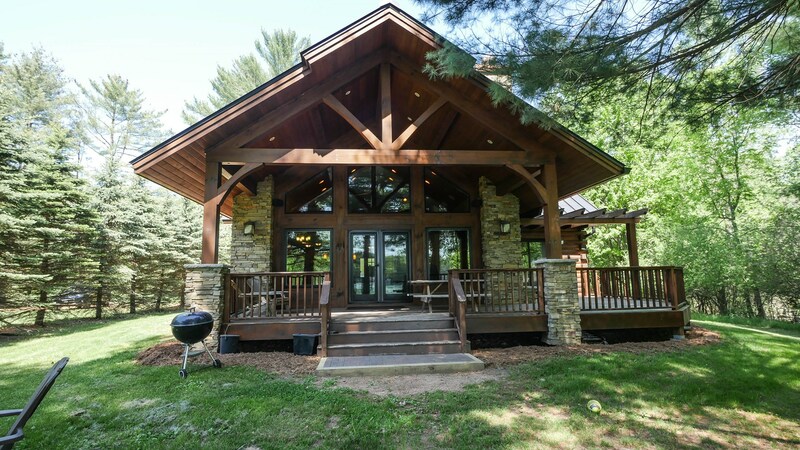 The goal was to use only sustainable materials, comply with Forest Stewardship Council, low VOC paints and stains, using American made products specifically from Wisconsin based companies so that the structures are environmentally responsible and resource-efficient throughout the building's life cycle. 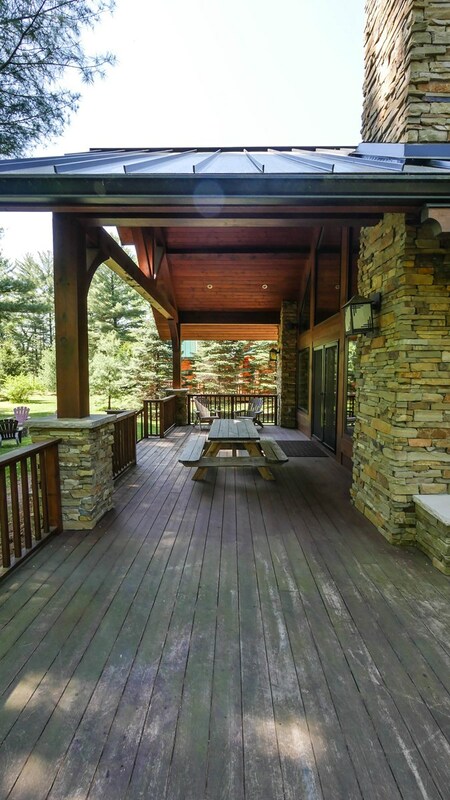 The custom design optimizes lakefront lot for waterfront views. 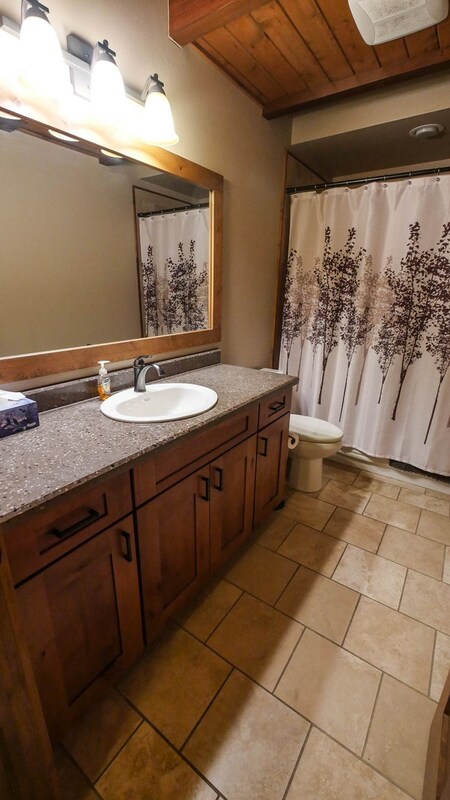 Home features 3 bedrooms, 2 baths for main floor living. 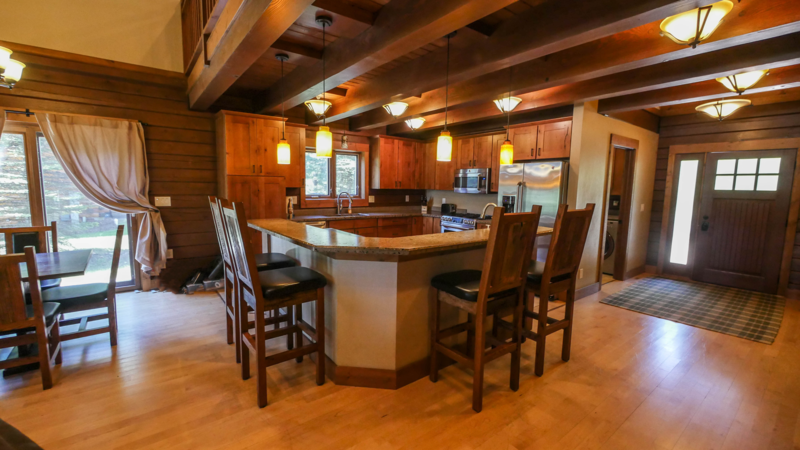 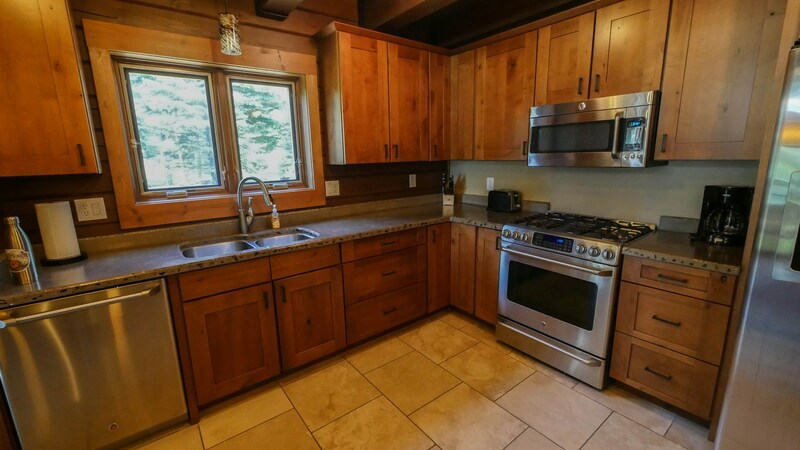 Enjoy an open-concept floor plan, stone fireplace, gourmet kitchen with concrete counters, and all E-Star appliances. 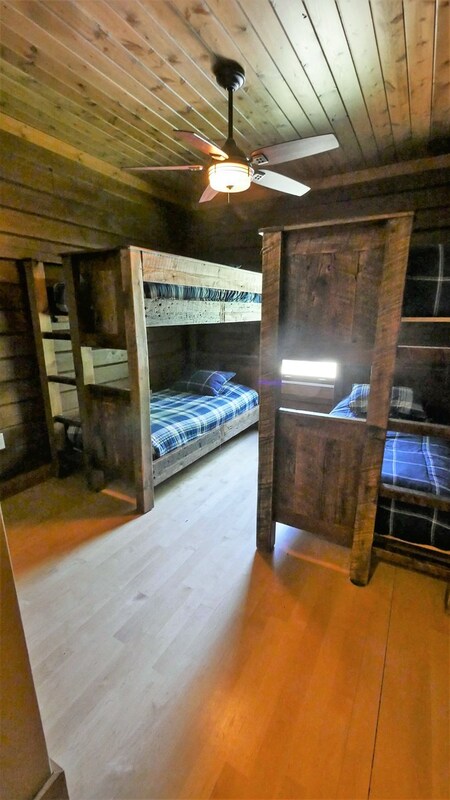 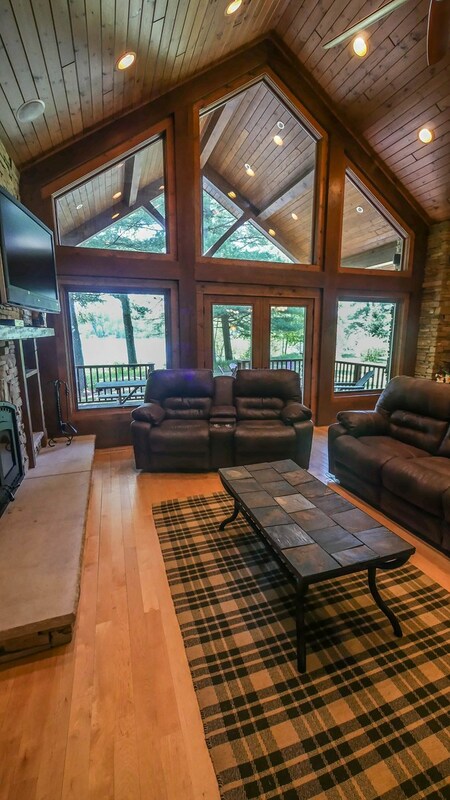 Details throughout are upscale and state of the art yet the setting provides a total Northwoods experience. 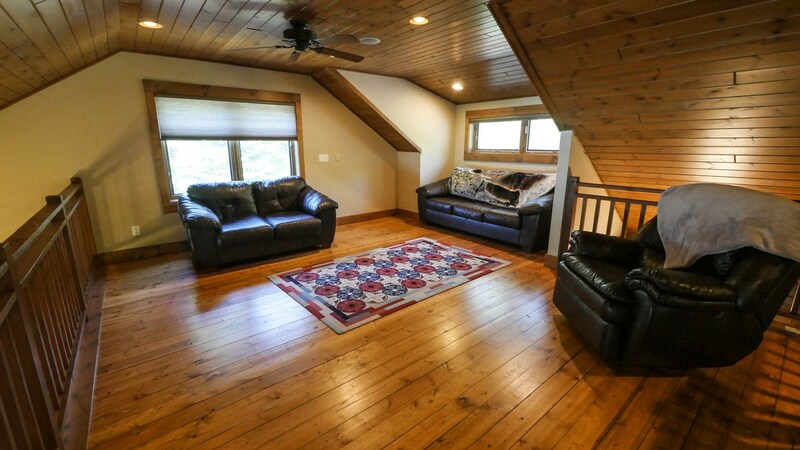 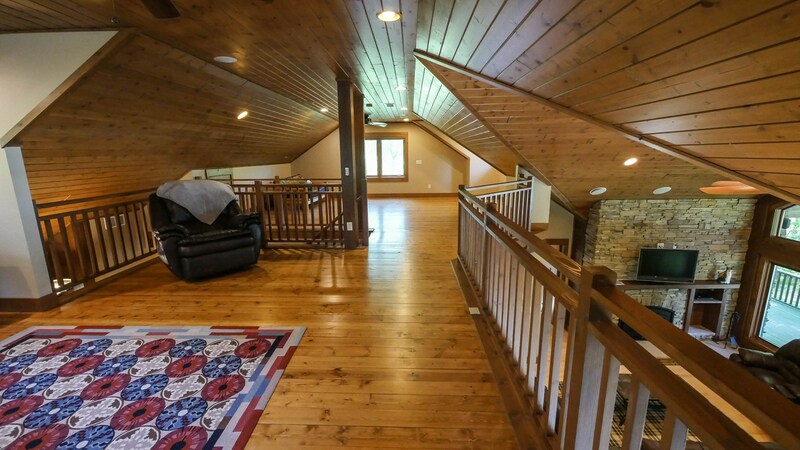 Upper loft provides sleeping loft for additional guests or great space for family room. 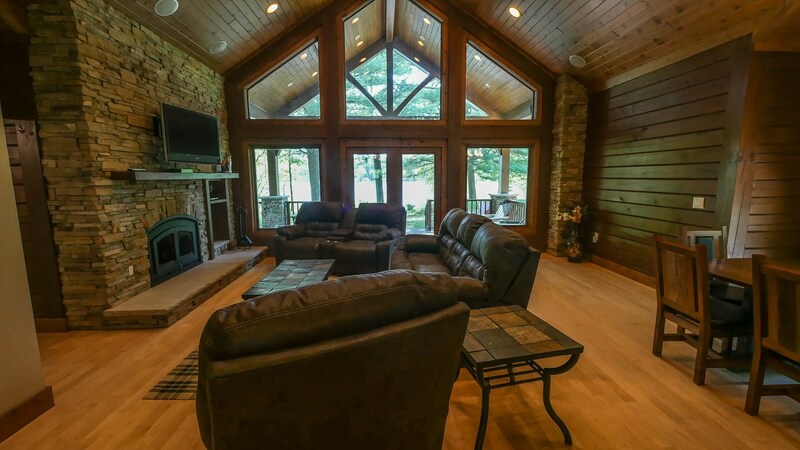 Enjoy 100 feet of frontage on one of the 22-spring-fed lakes known as the Chain O' Lakes just 2 hours from Madison or Milwaukee. 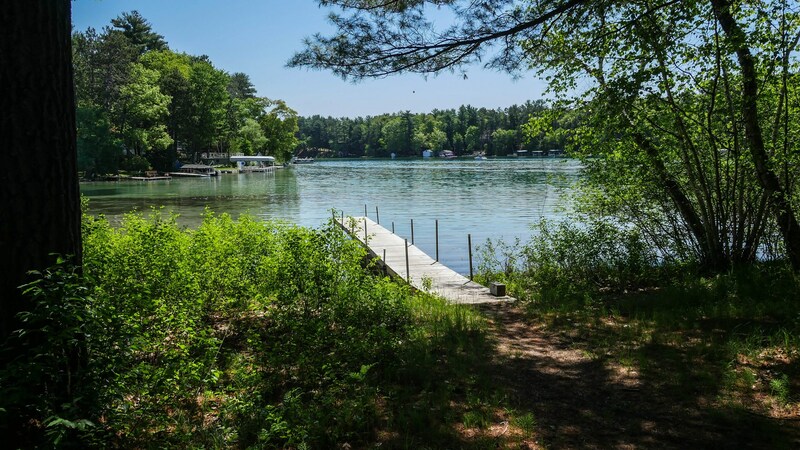 These lakes, formed by retreating glaciers, provide endless recreation from swimming to fishing to kayaking. 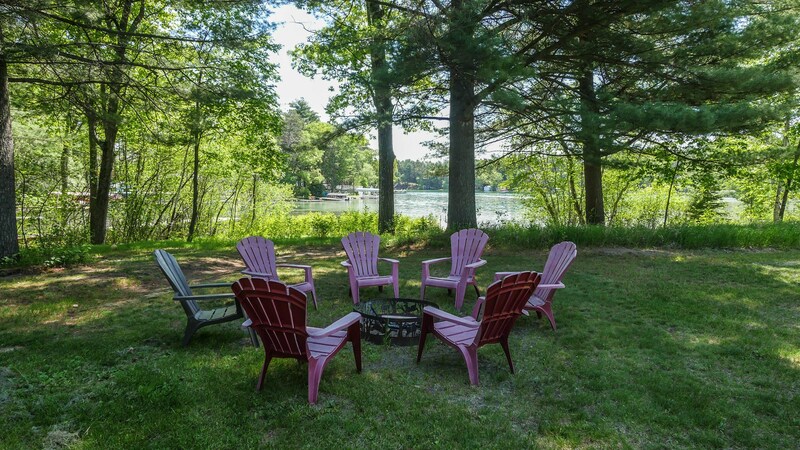 Hop in your boat and motor to dinner, entertainment, mini-golfing, or a secret fishing hole. 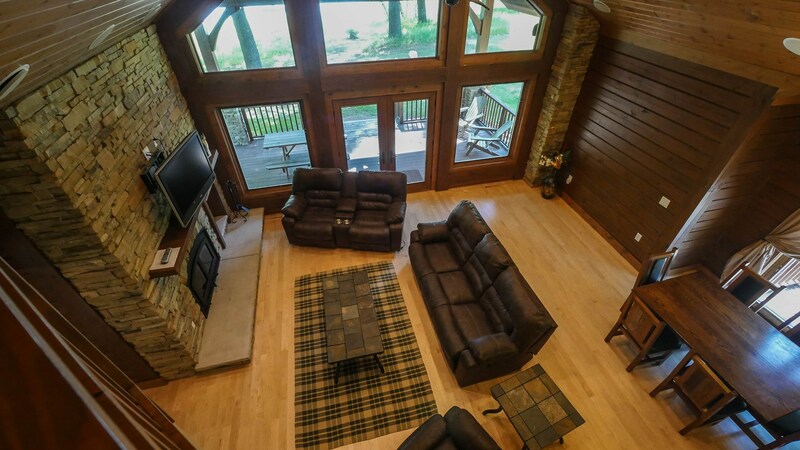 Year' round beauty reflects the changing seasons and offers new recreational opportunity/experiences both on and off the water in the charming communities such as the Yankee Village of Rural or the Amish community of Amherst. 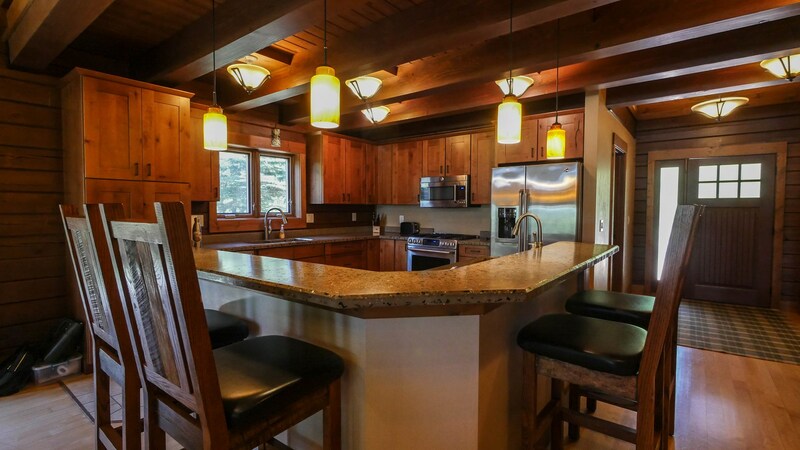 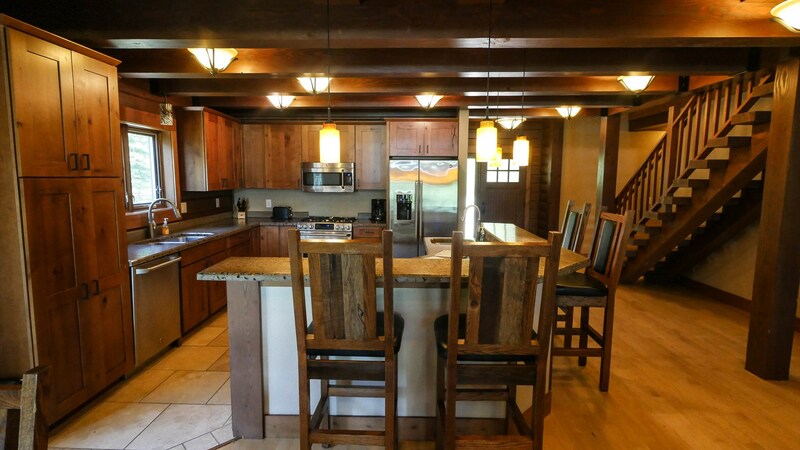 This is a beautiful log home that offers you not only a place to live but a total lifestyle package on the waterfront. 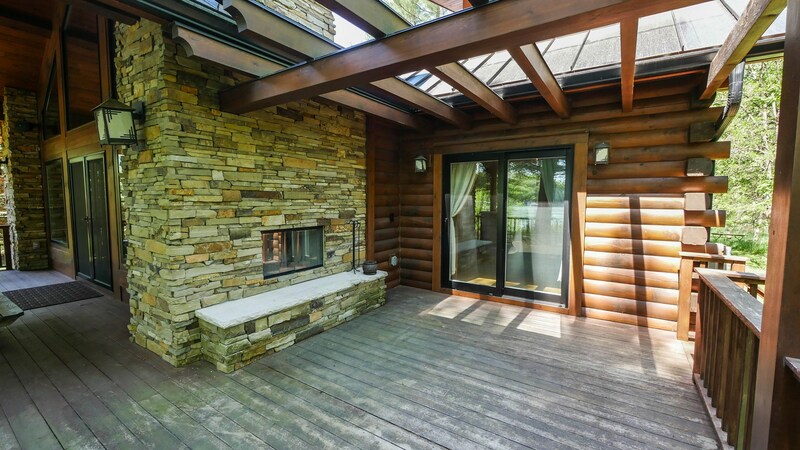 Call for more GREEN details. 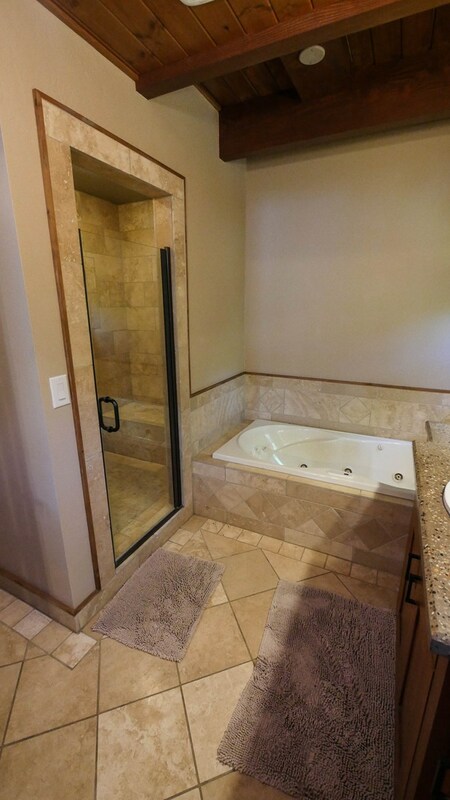 There are two homes/floor plans from which to choose.